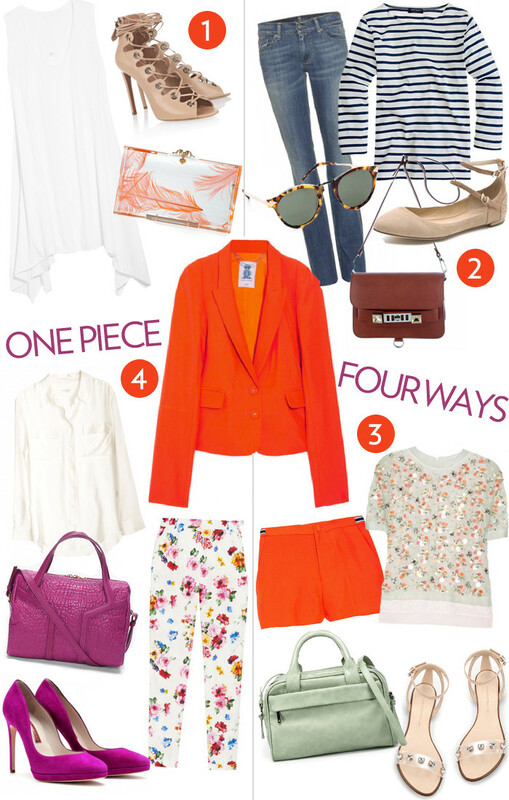 An orange blazer is a statement piece, yes, but it can also work as a wardrobe staple. I have a good neon orange blazer from Zara that I got last year and wear it all the time with a variety of things (an example here). Luckily for you I have found the perfect alternative to my favorite Zara blazer, this one by Juicy Couture. Style tip: you don’t have to settle for a blank white canvas with bright pieces like this. Mix it up with a playful print or nautical stripes. You shouldn’t let the hue hold you back. It is this season’s top shade, after all.